Embedit Electronics have this week unveiled a new open source development platform they have created called PiSoC, that has been designed to provide users with a “unique opportunity” to create and build electronic projects, regardless of their skill level. 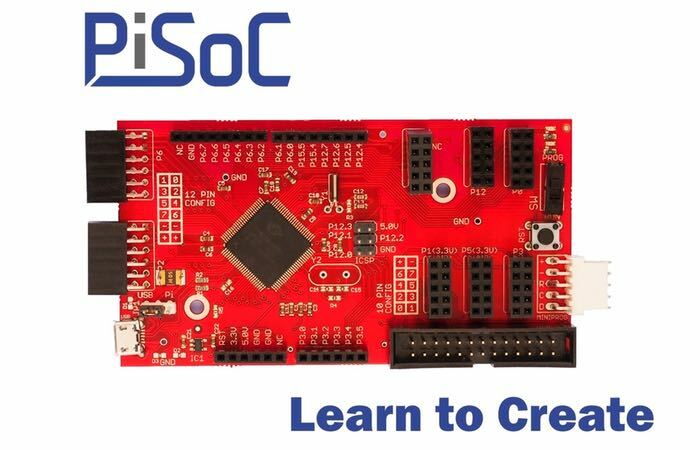 PiSoC is compatible with the Scratch programming language and Python and takes the form of a development board and PiSoC Creator applciation, watch the video below to learn more and see how PiSoC can be used. The PiSoC project is currently over on the Kickstarter crowd funding website looking to raise $15,000 in pledges to make the jump from concept to production. “The PiSoC is a way for you to create incredibly complex things, without incredibly complex code. It makes creating electronics fun and easy. At it’s core, engineering is a highly creative, interactive, and inventive process that everyone should be able to benefit from as an outlet. If there is one thing we’ve learned in our lives and at our jobs, it’s that engineering is hard, and everybody seems to know it. But why is this? So if you think PiSoC is something you or your younger ones could benefit from, visit the Kickstarter website now to make a pledge and help PiSoC become a reality with pledges starting from $34.